New York City-based hospitality startup has raised $12 million in its latest funding round from a group of global investors including UAE’s Jabbar Internet Group, VentureFriends, and Endeavor Catalyst. Founded in 2013, Blueground provides premium rental properties with high-end furnishing to business professional and individual renters for mid (one month at least) to long term stays. According to its website, the startup currently has over 1000 apartments in its portfolio across nine markets including Dubai, Istanbul, New York, San Francisco Bay Area, and Athens. We skimmed through the website and it seems that the studio apartment Blueground has in Dubai start from 4,000 dirhams (~$1,100) going up to over 10,000 dirham (~$2,700) in some cases. The startup leases carefully-selected, high-quality properties in the most sought-after locations and brings in its in-house team of interior design to work with individual and corporate property owners for upgrading these properties into beautiful apartments. Blueground ensures a premium experience for renters and 100% guaranteed occupancy for the property owners. 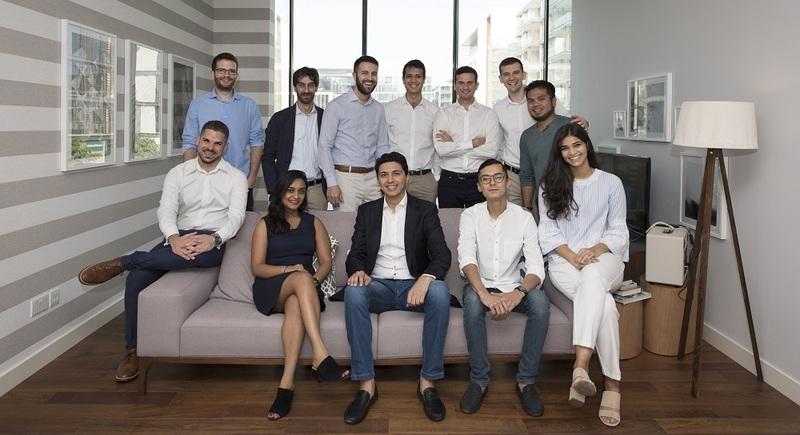 Blueground has a pretty ambitious vision for growth, aiming to become the largest tenant in Dubai in 2019 and expending to more than 50 cities with 50,000 properties in its worldwide portfolio by 2023.